The Spam Act 2003 (Cth) is an Act passed by the Australian Parliament in 2003 to regulate commercial e-mail and other types of commercial electronic messages. The Act restricts spam, especially e-mail spam and some types of phone spam, as well as e-mail address harvesting. However, there are broad exemptions. 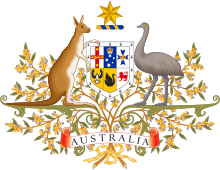 The first portions of the Act came into effect on 12 December 2003, the day the act received Royal Assent, with the remaining sections of the Act coming into force on 10 April 2004. The Act was originally enforced by the Australian Communications Authority, which in 2005 merged into the Australian Communications and Media Authority (ACMA). Unsolicited commercial electronic messages must not be sent unless it is a designated commercial electronic message defined at Schedule 1 of the act. Commercial electronic messages must include information about the individual or organisation who authorised the sending of the message. Commercial electronic messages must contain a functional unsubscribe facility. Address‑harvesting software must not be supplied, acquired or used. An electronic address list produced using address‑harvesting software must not be supplied, acquired or used. The main remedies for breaches of this Act are civil penalties and injunctions. In ACA v Clarity1 (2006), Robert Nicholson, J looked at the respondent’s key defence, being retrospective application of provisions under the Act relating to the acquisition and use of harvested address lists. He noted specifically that lists gathered or acquired prior to the Act coming into force are still subject to the legislation. He also struck down the respondent's defence that he had obtained consent to use the gathered addresses for the defined purpose, and also noted a lack of compliance with the provisions of the Act requiring the provision of a functional unsubscribe facility. This page was last edited on 15 July 2018, at 22:12 (UTC).